This beautiful gown has two layers, the main body of the gown of Silk and a gorgeous over lay of embroidered lace tulle. The main gown’s hem rises at the centre front to form a soft curved point. The lace skirt drops lower than the silk skirt allowing the lace to be displayed. 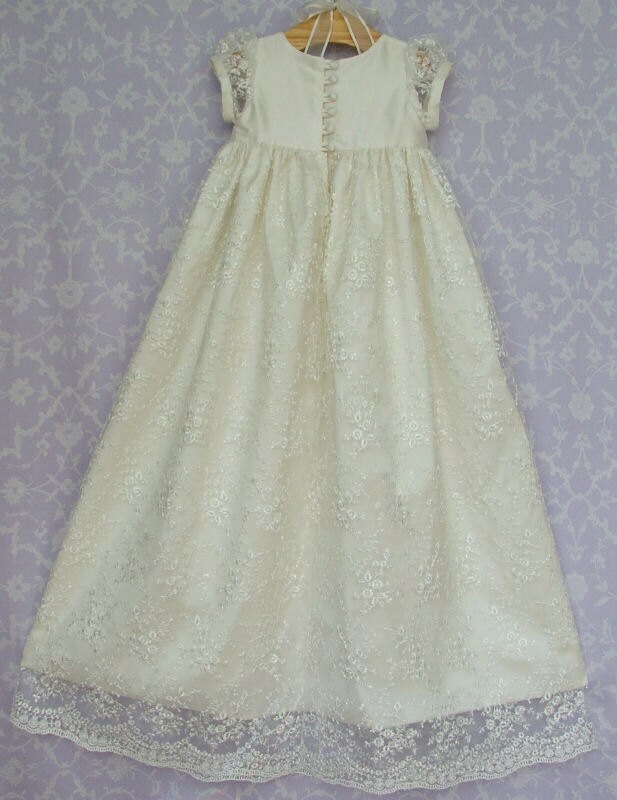 The bodice features matching lace and the small puffed sleeves are lace only and therefore see through. All these features make for a very traditional gown. If you are looking for a lacy gown then this one will delight you. 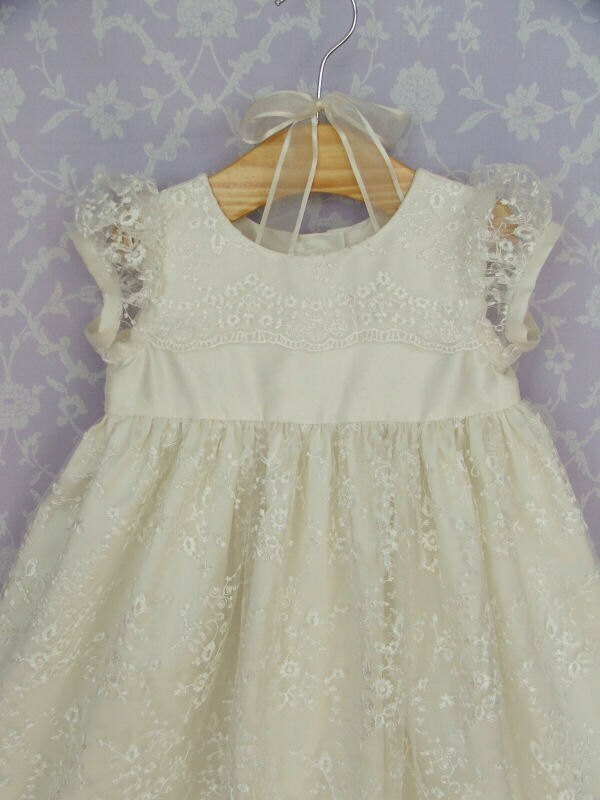 I can't wait to see my little girl get baptized in this gown! I was a little worried because it was shipping from the UK, but it was packaged very well. It arrived in less than two weeks. I'm very pleased! Dress looks just like the picture. It is absolutely beautiful. Rachel was wonderful to work with as well. Would definitely purchase from this company again! Absolutely gorgeous dress!! 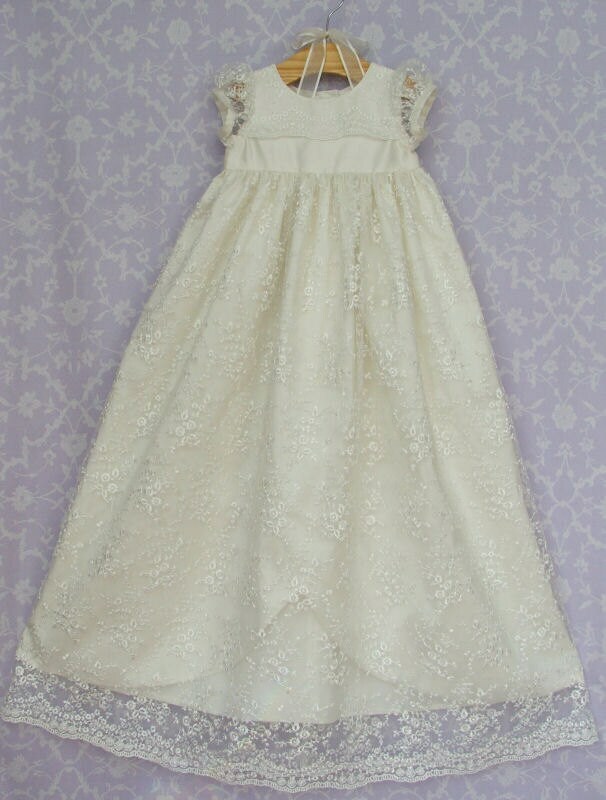 I searched far and wide for the perfect dress for my baby's baptism and this gown surpassed my expectations! 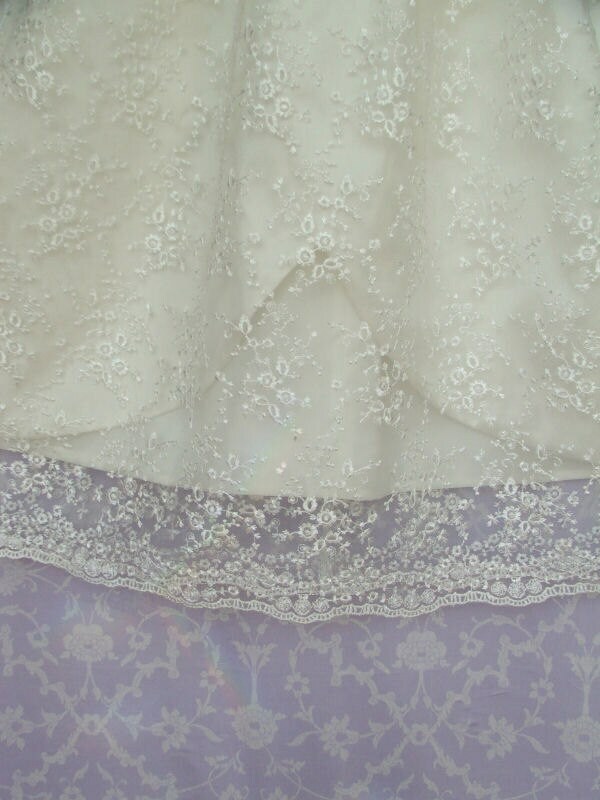 The detail of the lace is stunning and the dress was soft and comfortable on my baby. The matching bonnet and booties perfected the outfit. The shop owner took the time to answer all of my questions promptly and was warm and friendly. The dressed shipped from England to the U.S. much faster then I anticipated and arrived in pristine condition. I cannot recommend this shop and dress enough.